Only a few weeks ago, a group of middle-aged Irish guys with a band decided it would be a good idea to force-place their new album onto millions of iPhones without asking if those people wanted it, and without initially giving those iPhone users a way to remove the songs. After a bit of reflection, the members of that musical group have decided that maybe this wasn’t the brightest publicity move. 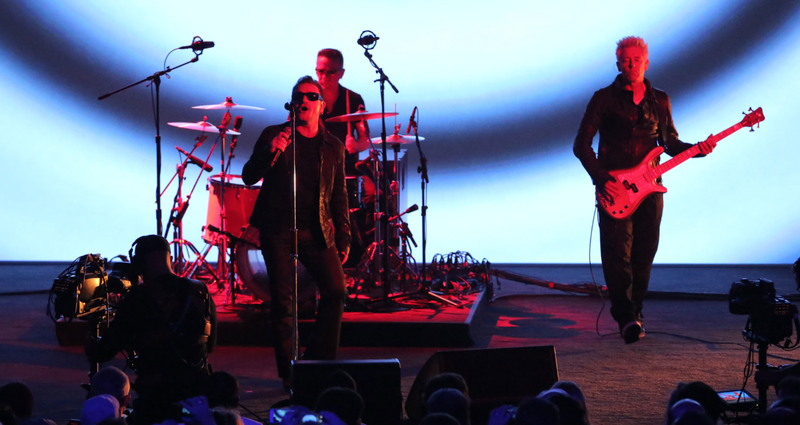 U2 answered questions from Facebook users on Tuesday, including one who asked that the band please never again compel millions of people to download any of their albums in the future. Apple eventually issued a fix to allow people to remove U2’s Songs of Innocence from their devices with the caveat that it would no longer be free after Oct. 13. That day has come and gone, so if you want to hear the new U2 songs on your iPhone you’ll have to do it the traditional way — by illegally copying them from your friends who got them off some pirated music sharing site… or pay for it. We recommend the latter, because we don’t want anyone getting in trouble with the law.